Two months ago our friend Debby from the United States gifted CCP with 25 brand new Dell laptops. 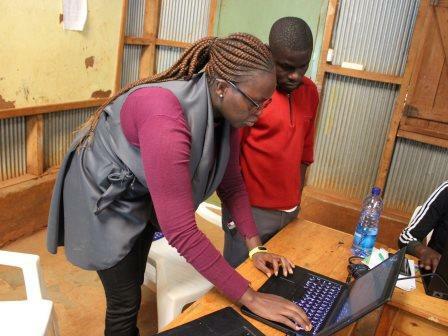 She connected us with a group called Kids Computer Camp (KCC) here in Nairobi which works to bring computer training to children in underserved communities. 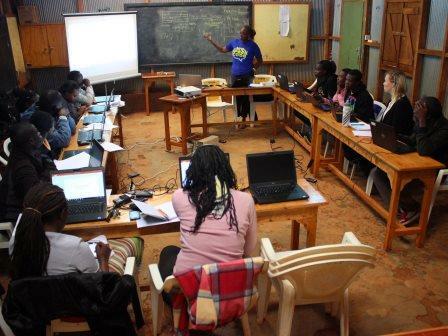 The week of August 20th to the 24th, Lenah from KCC took 15 CCP staff members through computer training. The week included basic typing skills, Microsoft Office skills including Word, Powerpoint and Excel. Staff members created a mock CV, a Powerpoint of who they are and what they do at CCP, and Excel sheets of mock student grades. 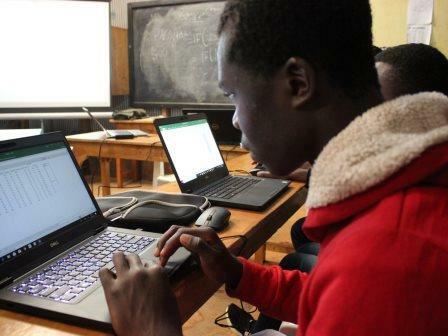 On the final day, we dipped a toe into the world of computer programming. HTML coding was a new lesson for all, and everyone felt empowered when they saw the coding they�d typed and saved show up as a trial offline website! We are humbled by the gift Debby blessed us with and for her ongoing support and belief in what God is doing at CCP. We are so thankful to our teacher Lenah for the patience she showed with us as we learned, as well as the expertise of subject she brought to the classroom. 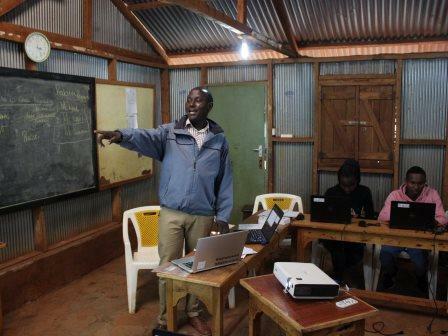 Teacher Horace presenting his Powerpoint to the class. Samuel hard at work on Excel. Lenah working with Teacher Camalyne going over Microsoft Office. The full class for Computer Training. "We Speak Code" is our phrase from the week! The "Familia" of Teacher Benard, Irene, and Teacher Hilda. Lenah setting up the computer for Teacher Evans report.